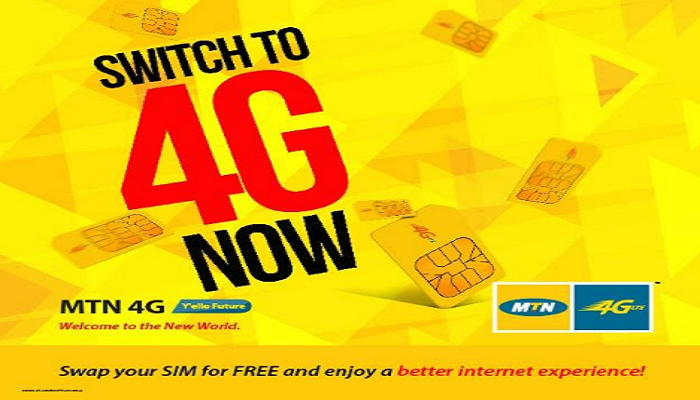 You can now easily activate MTN 4G LTE service for your smartphone. We already reported that MTN Nigeria has unveiled its 4G packages earlier this month after undergoing a test drive in August. So, if you have 4G LTE-enabled device, this article will guide you on how to get MTN 4G LTE service activated within minutes. Firstly, you must know that only Visafone-turned MTN subscribers on the 2600 MHz band have access to this 4G LTE service test. Which is not surprising seeing as MTN’s 4G LTE is facilitated by the 2600MHz frequency they secured from Visafone earlier this year. As a teaser of what to expect below is a screenshot from the speed test done on MTN 4G LTE network. Though may not be at par withwhat ntel users are experiencing, it is just okay. If you are a regular MTN subscriber, you’ll need to swap your Simcard for a compatible MTN 4G LTE sim card from any MTN office closest to you before you can be part of MTN 4G evolution. To activate MTN 4G LTE service on your smartphone, you will need to know if your Smartphone is compatible with MTN 4G Network. The network currently run on Band 7 (2600mHz) and they’ve made it easier for everyone to confirm if their sim card and smartphone supports their 4G services. To confirm if your smartphone is 4G enabled, Text 4G to 131. You should get a message if your device is compatible: “Yello! Your device is 4G ready but you need to upgrade your SIM to enjoy MTN 4G LTE…” But if you get a response “Yello! You need to upgrade your SIM card and device to enjoy MTN 4G LTE. Please visit the nearest MTN store or partner retailer to upgrade now…” Sorry, you may need to get a 4G LTE phone or swap your old phone for 4G phone. Now that you have confirmed your phone’s compatibility, walk down to any MTN service center closest to you and do a sim swap to MTN 4G compatible sim. Once you insert the sim into your 4G phone, viola! You have successfully activated MTN 4G service. I think NTEL and other 4G service providers in the country are in trouble since they provide 4G LTE exclusively (no 2G/3G services). Recall that about 2,140,299 Visafone subscribers controlled by the CDMA operator has made a switch after MTN bought them over. MTN Nigeria now has the paucity of the infrastructure required to deploy effectively across the Nation. More than three months after its launch. NTEL has effectively covered only part of Abuja, and only recently started servicing a tiny part of Lagos. With the infrastructure it already has in place across Nigeria, MTN can now roll out its own 4G LTE services in many sectors of the economy right away. Unfortunately, NTEL does not have the numbers (in terms of subscribers) to be able to price aggressively or competitively in a way that it can challenge the expected market dominance/freight train of MTN in 4G LTE services. Having said all the above, anything is possible in this technology world. So we shall see how everything plays out. Considering the present data war going on between telcos in Nigeria, one just hopes that the consumer – such as yours truly – will be the better for it.